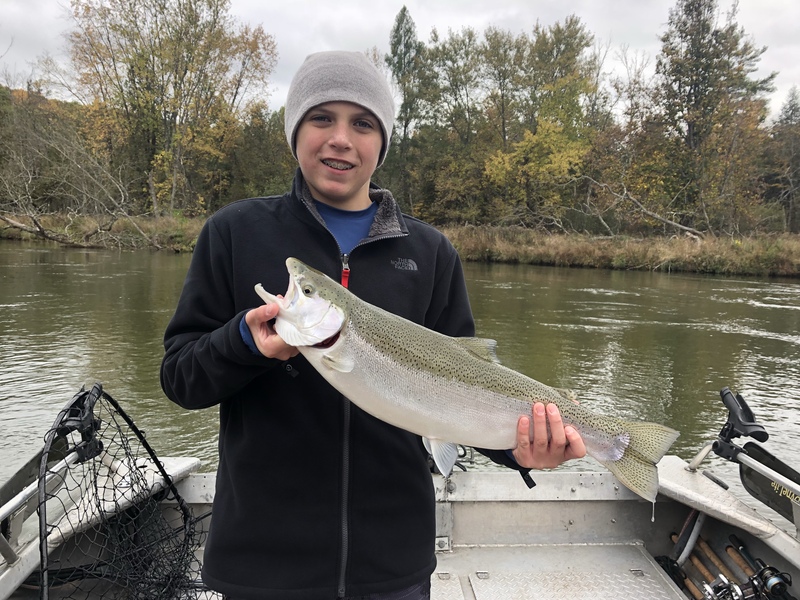 Steelhead season is in full swing on the big river .. We have been catching some nice fish. 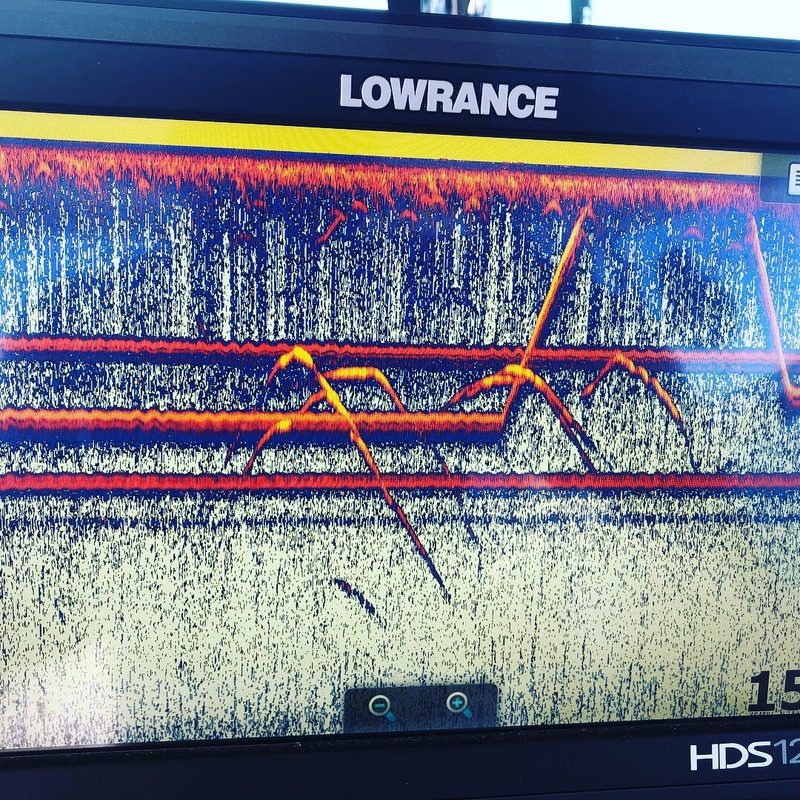 Mostly running spawn on bottom (drift fishing) but the floats should take off here pretty soon.. 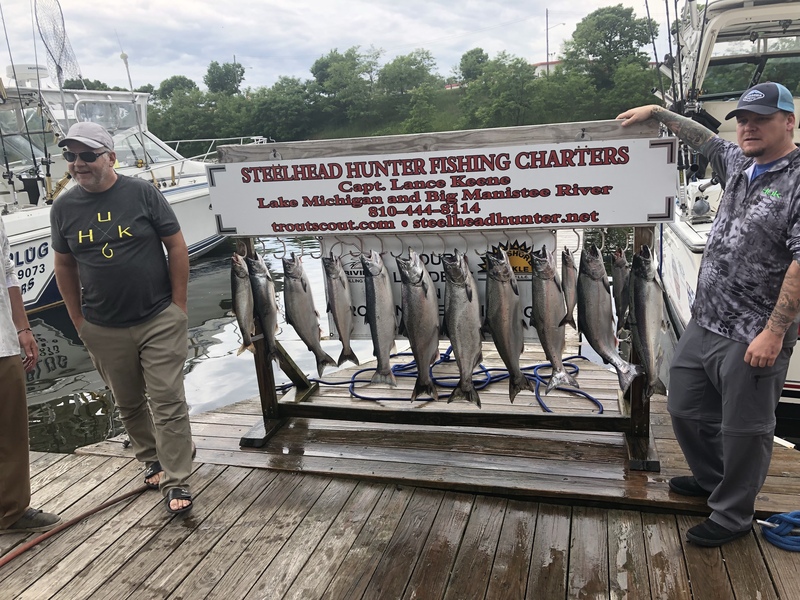 This is the month, Kings are here in good numbers. 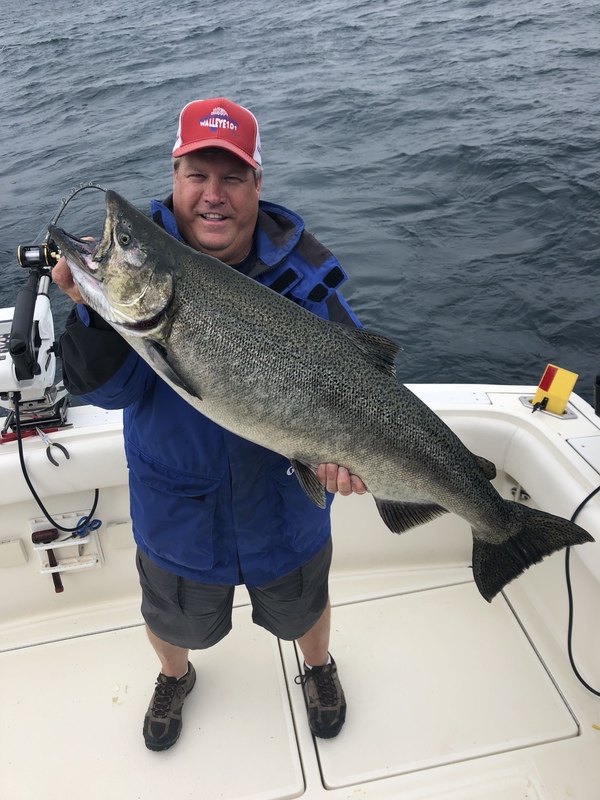 Big fish too.. 4 kings over the 28lb mark so far.. we have openings left . 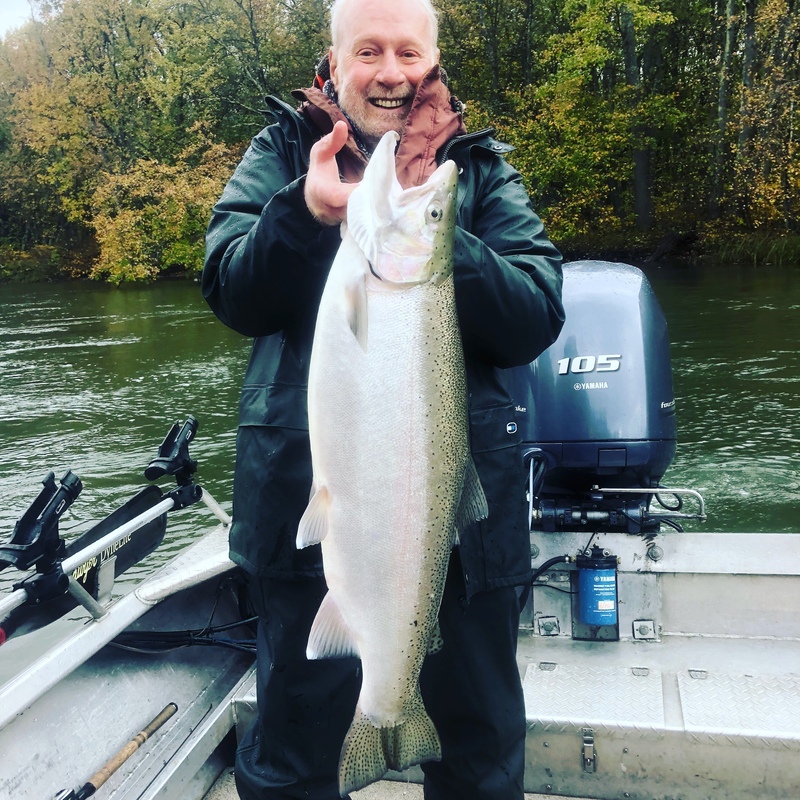 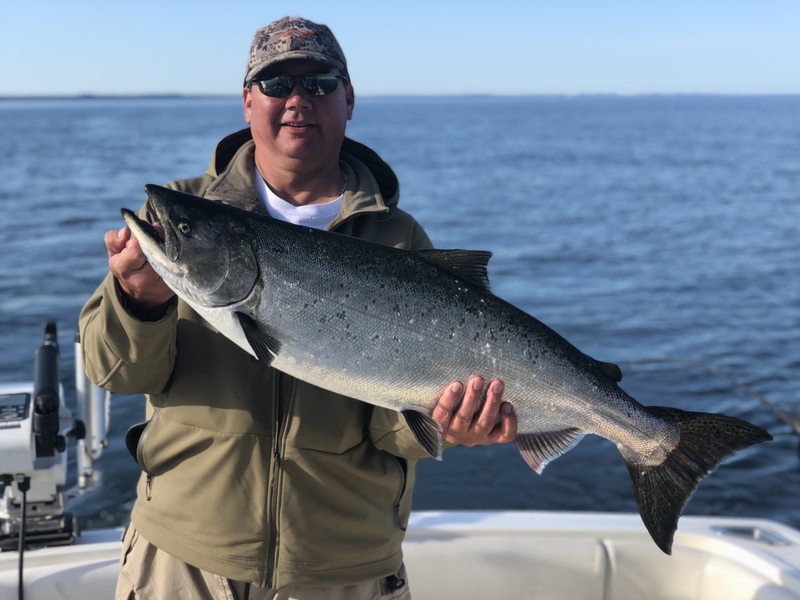 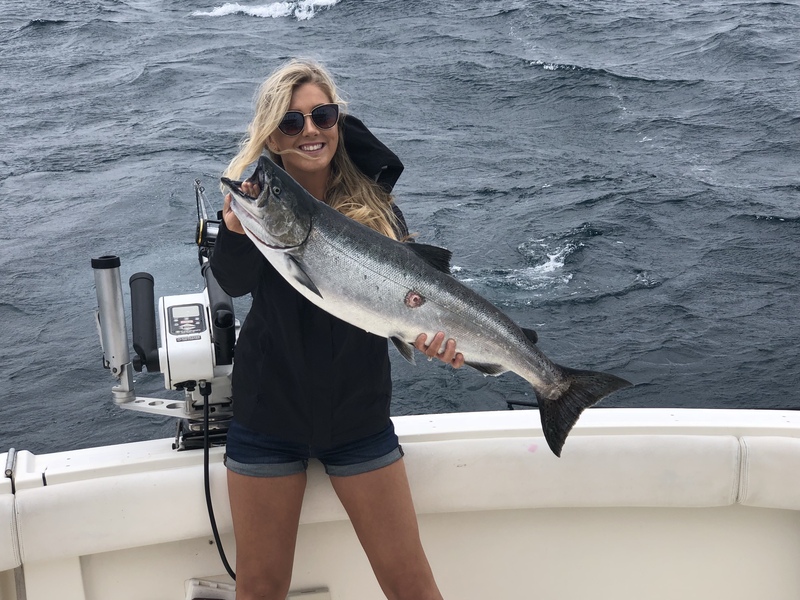 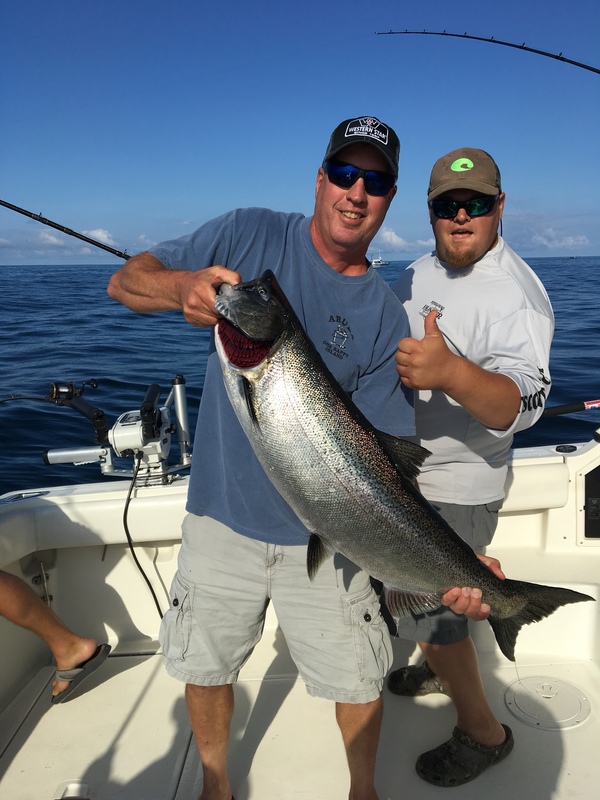 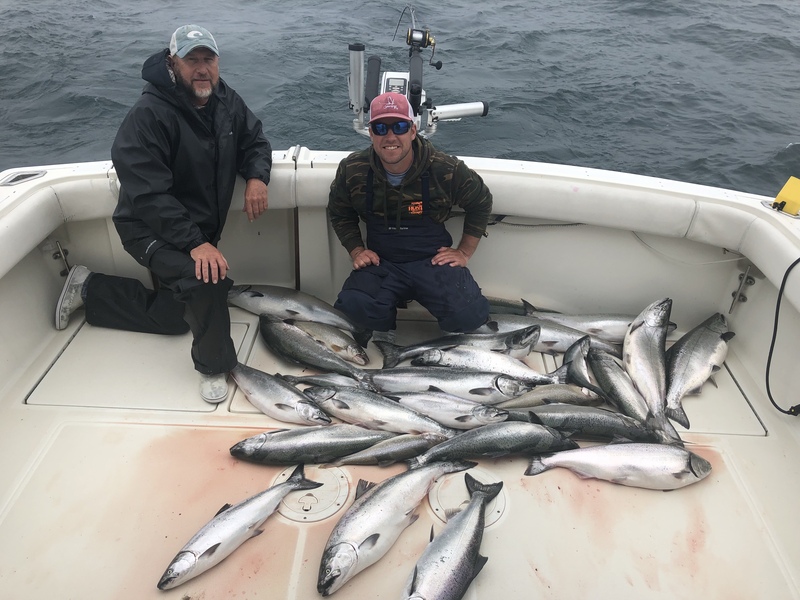 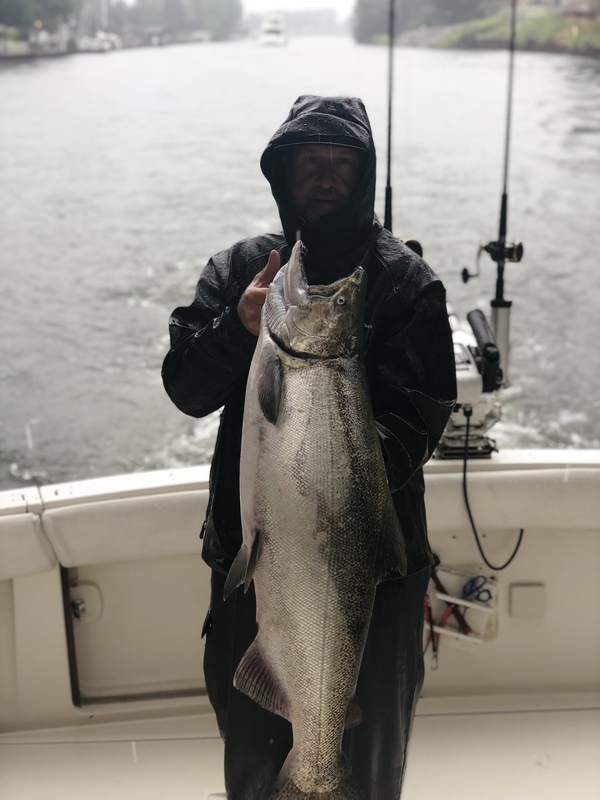 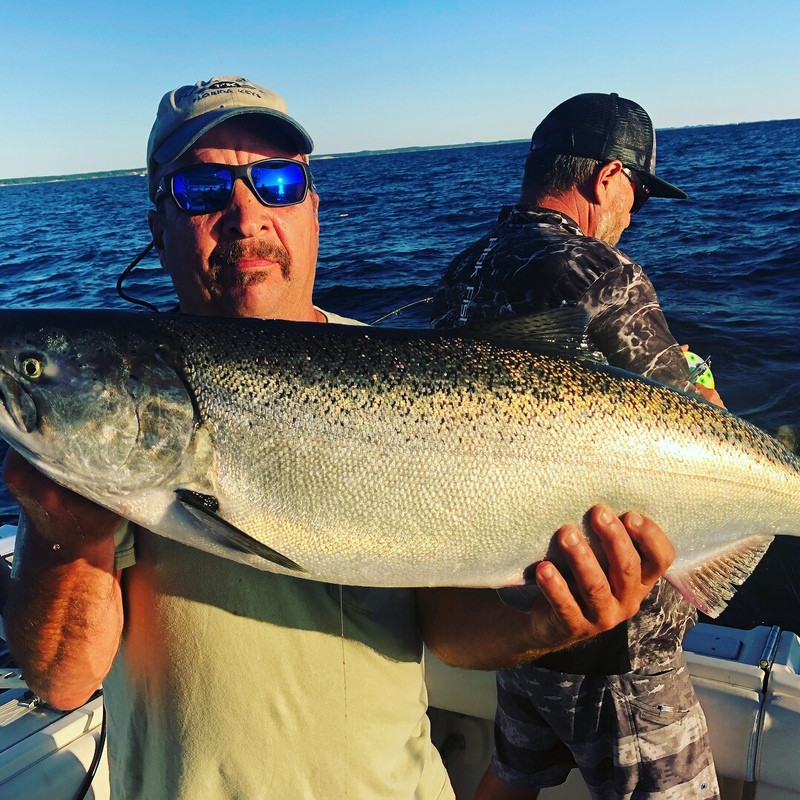 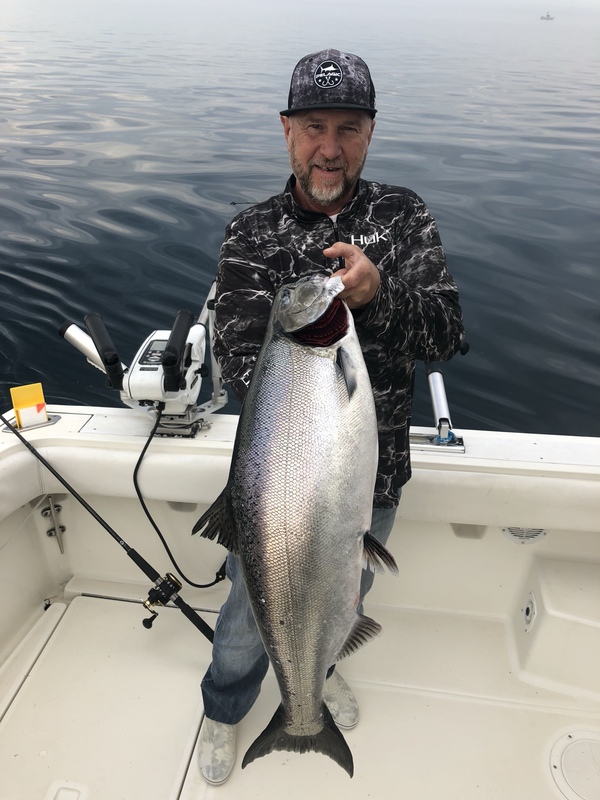 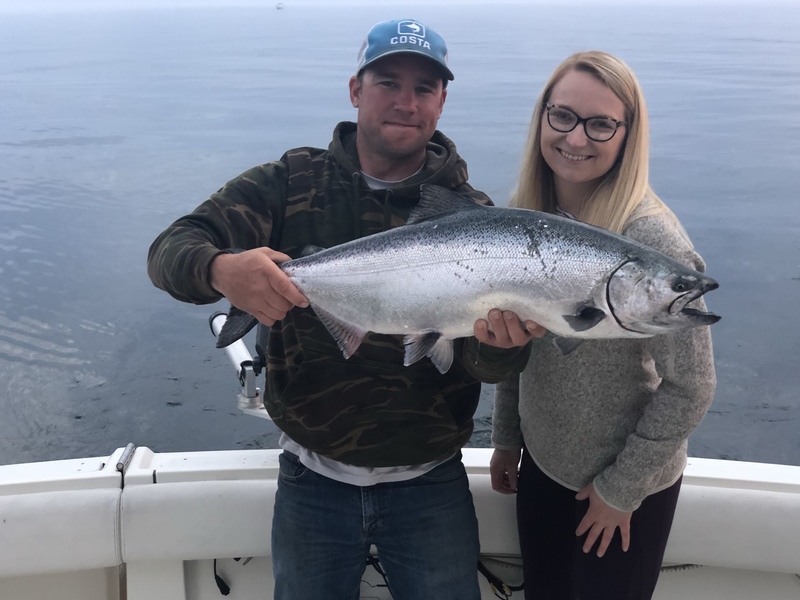 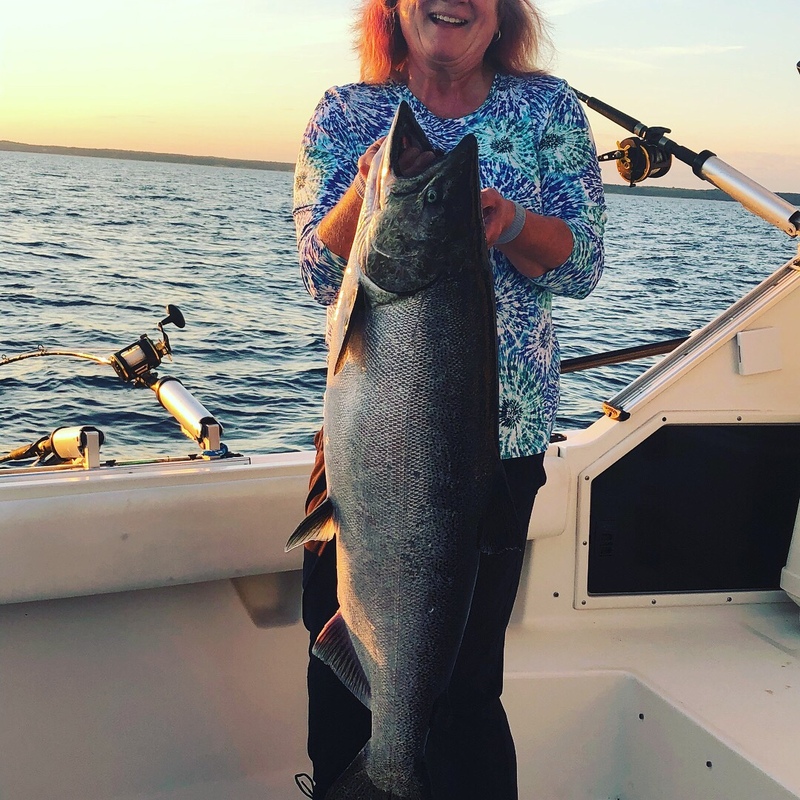 I think fishing will remain good through September out here.. no coho yet but there out here somewhere ..
Rainy day today and the big kings liked it .. one king at 28lbs ..
Salmon action this morning with 13 kings on a half day trip. 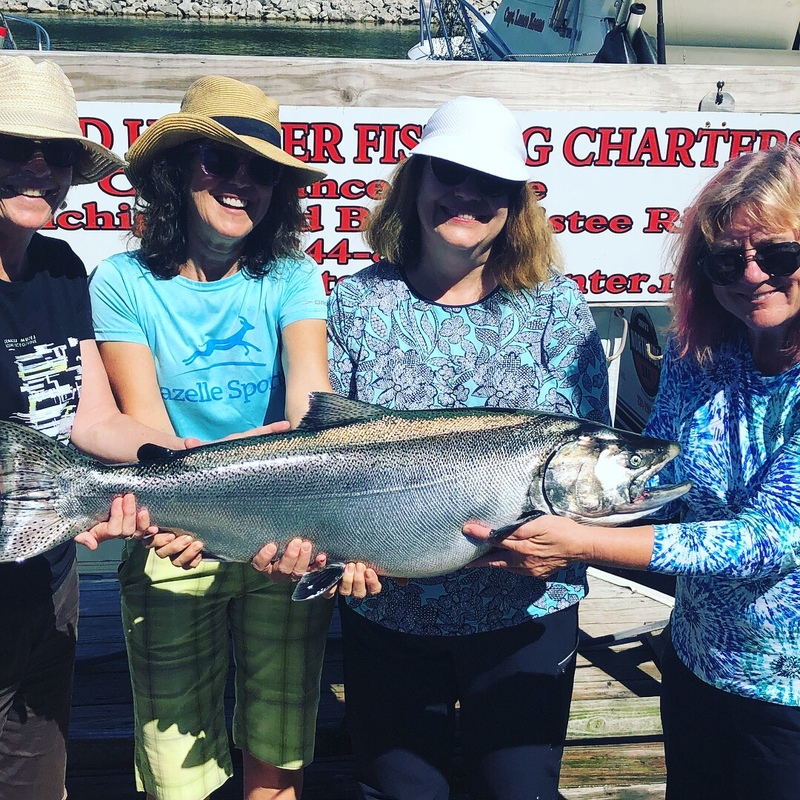 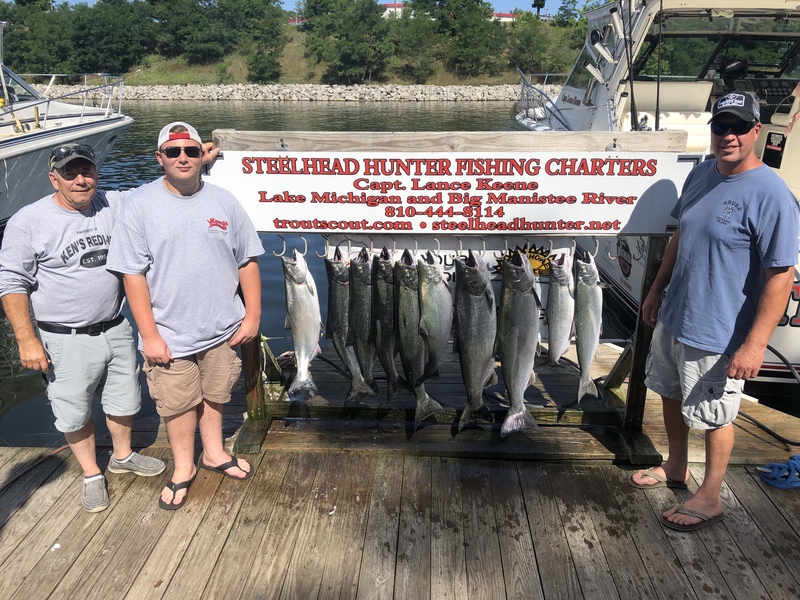 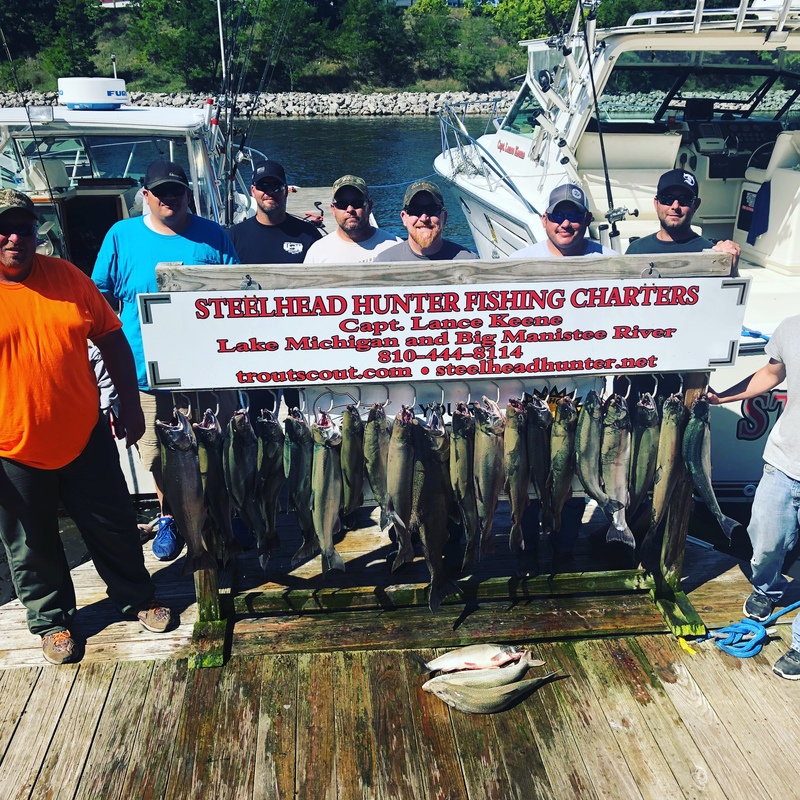 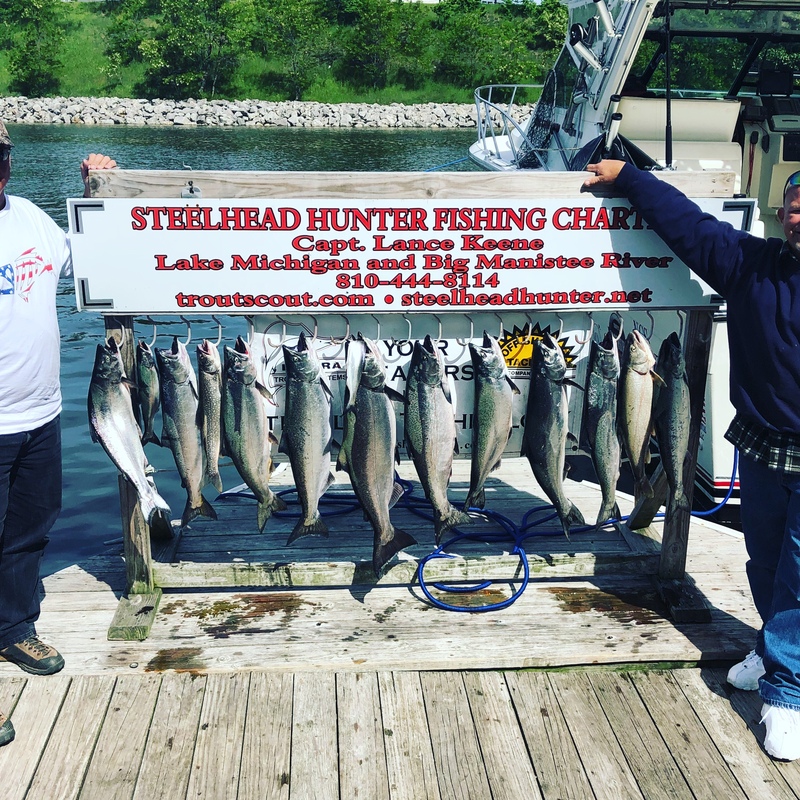 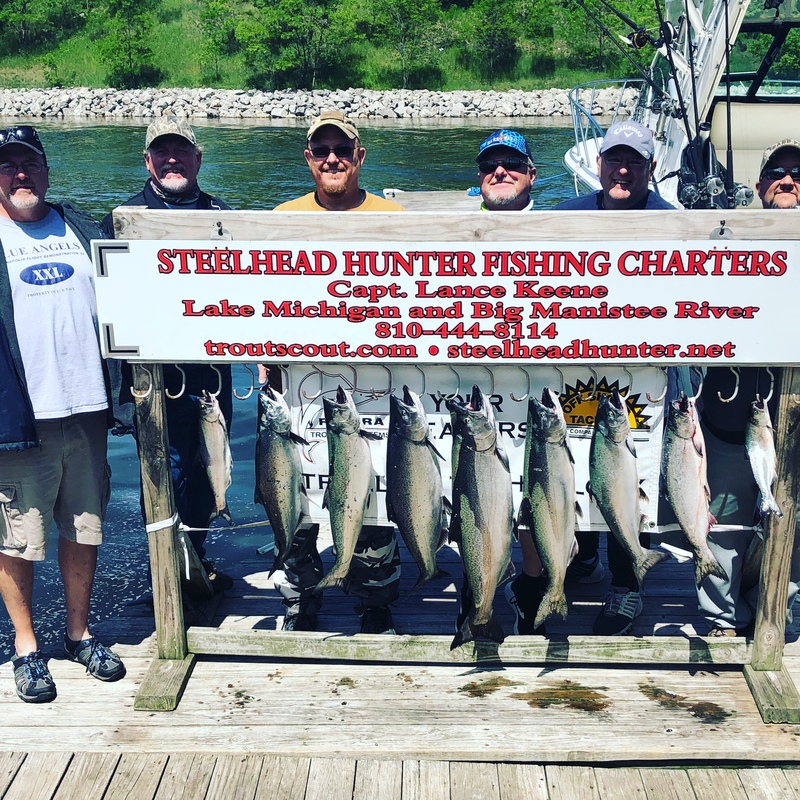 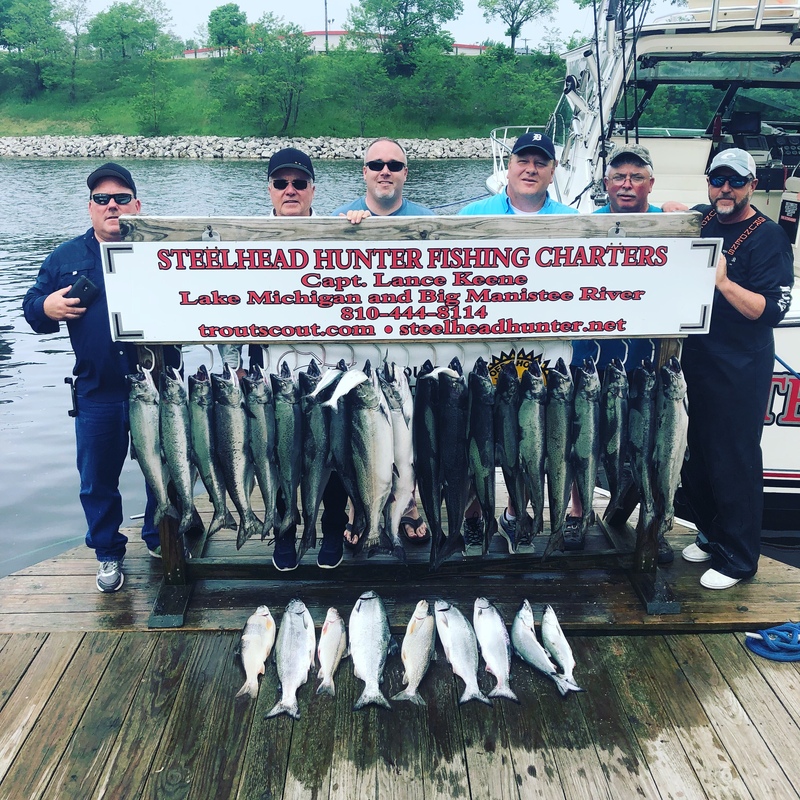 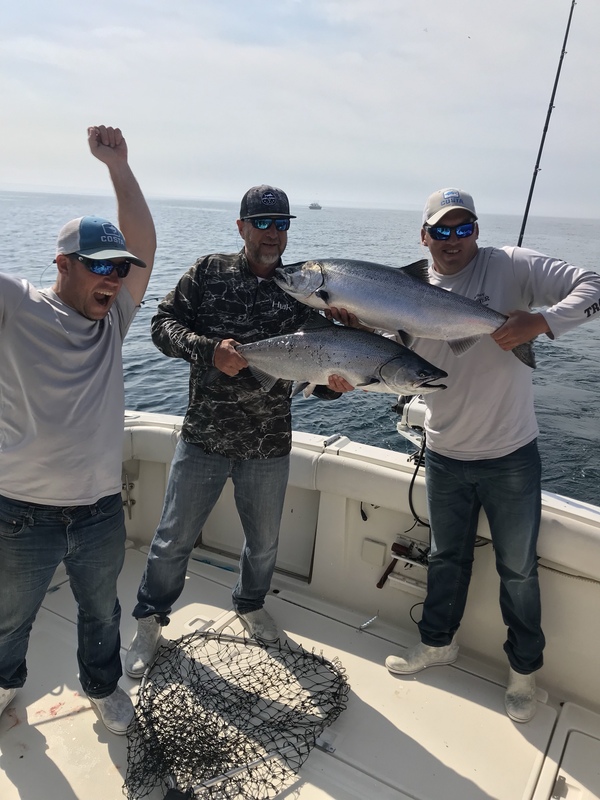 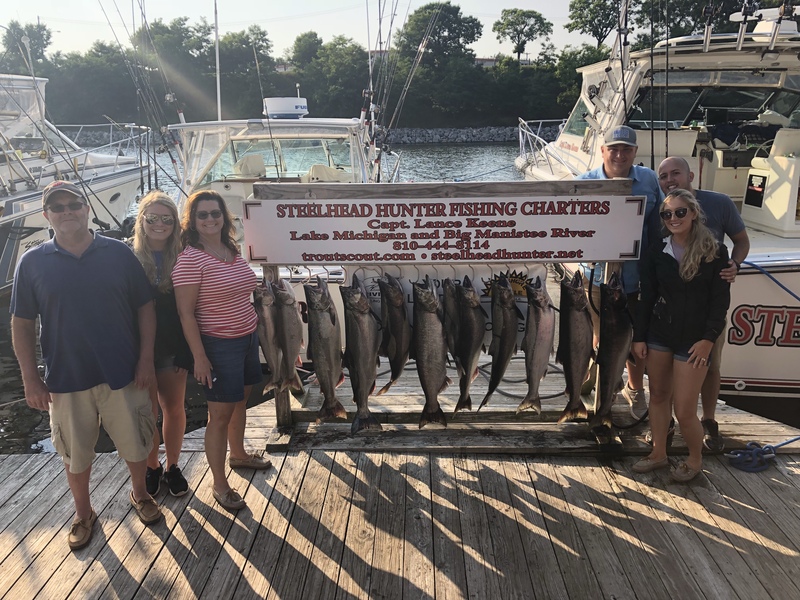 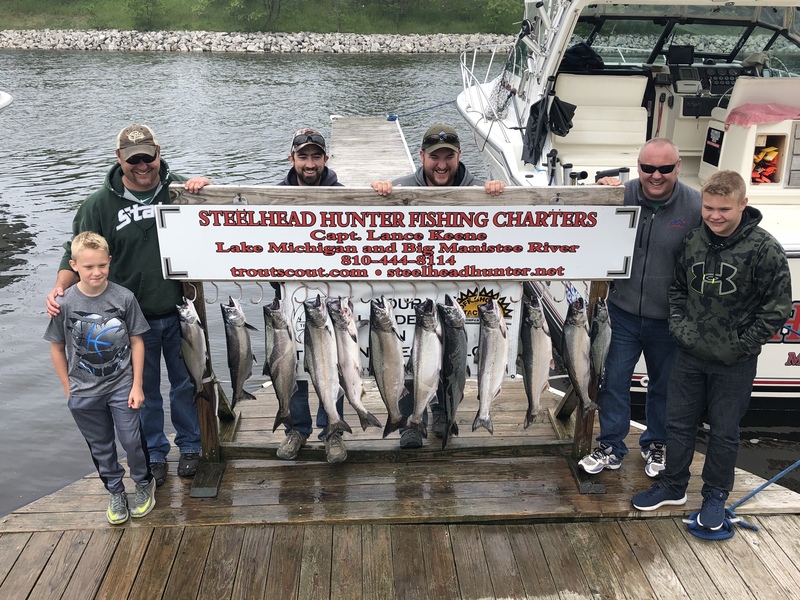 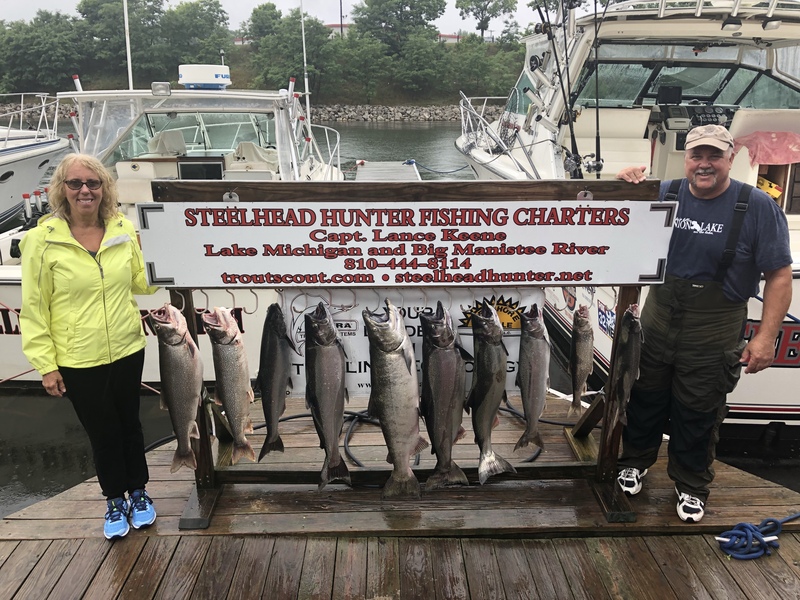 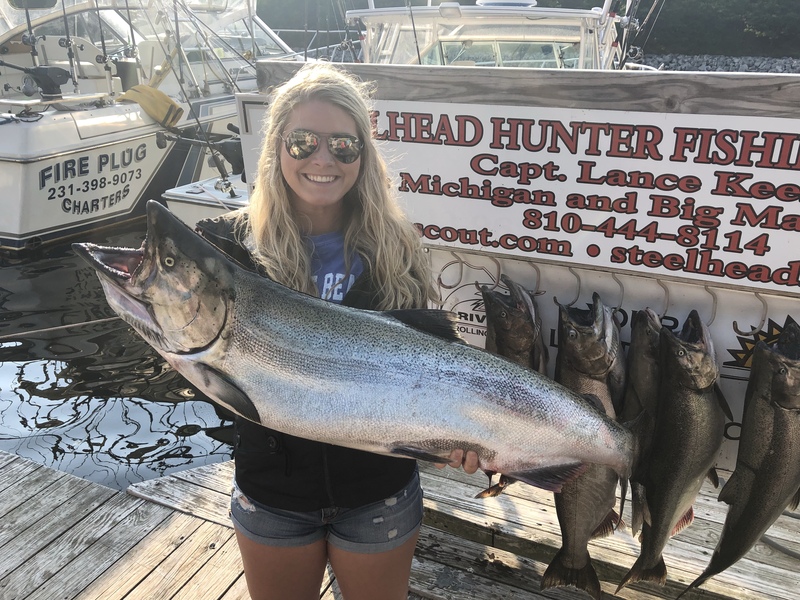 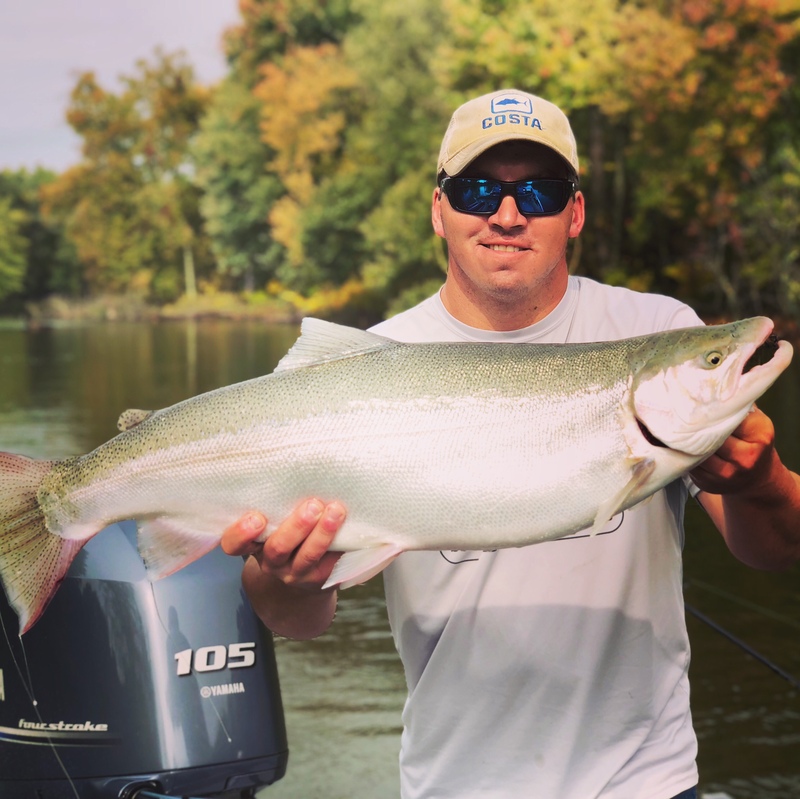 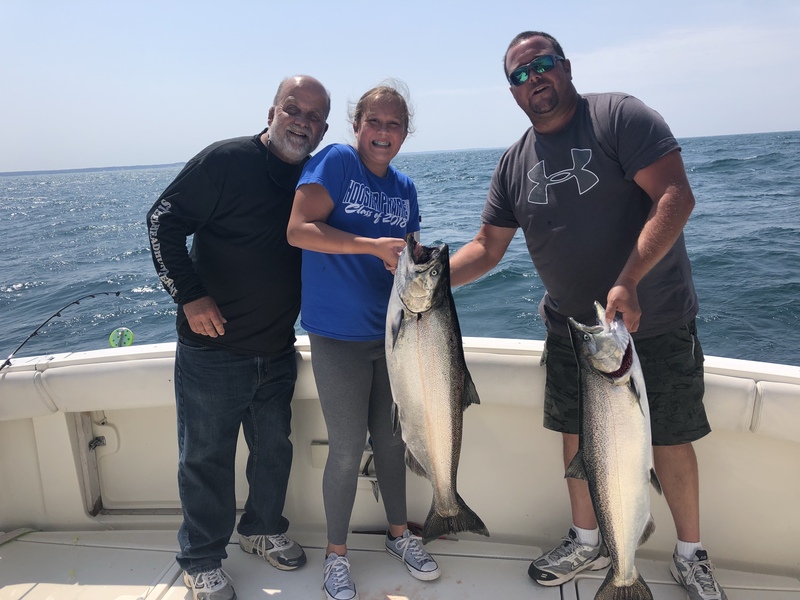 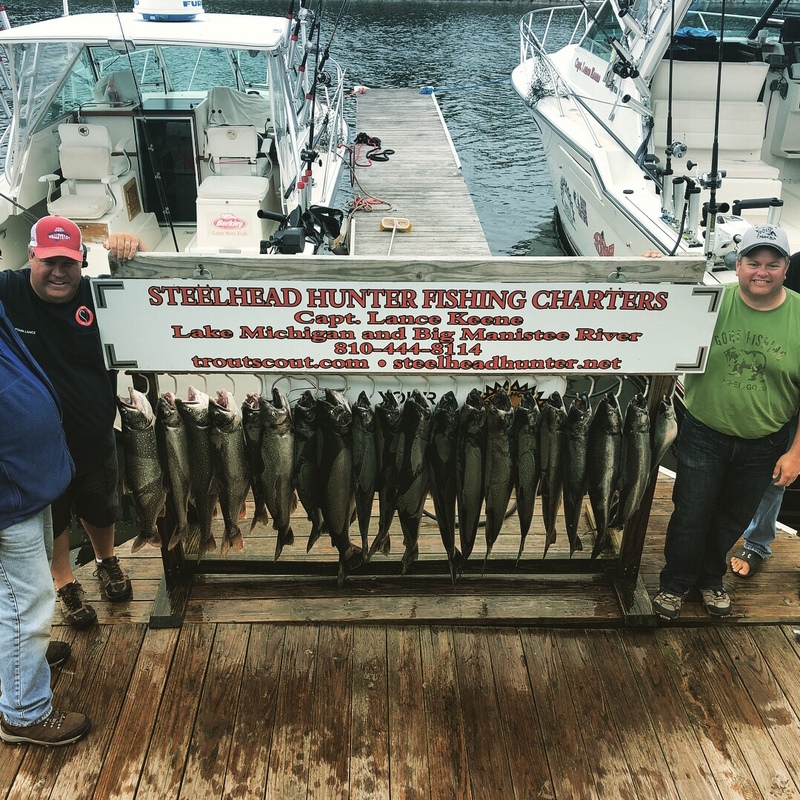 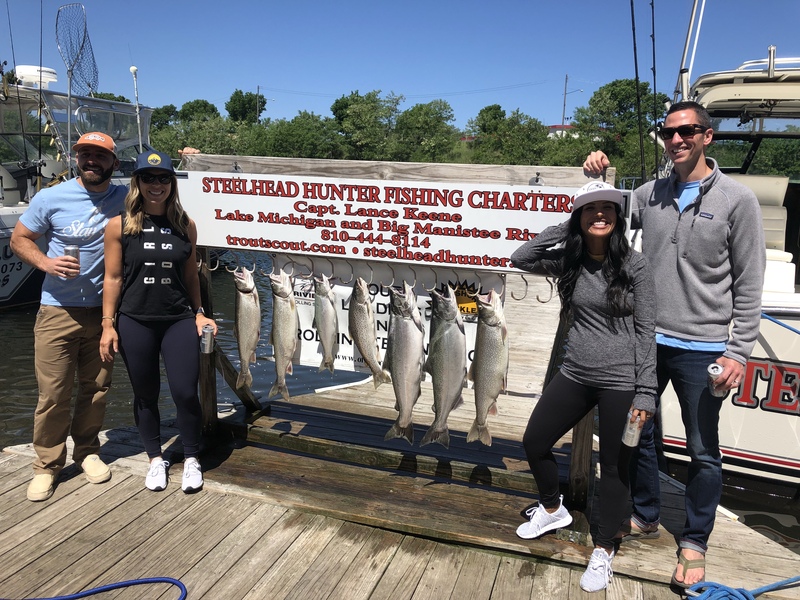 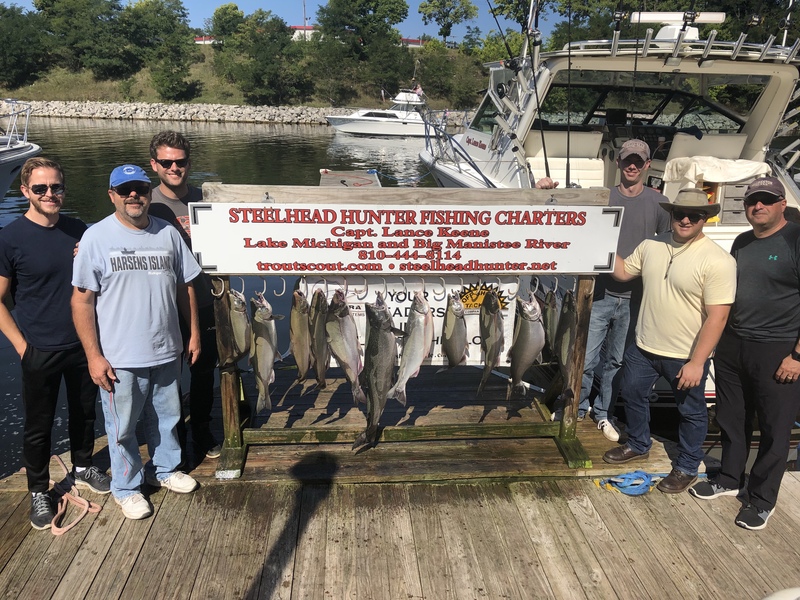 Last few days of fishing – book today!